Sixers guard Markelle Fultz has returned to Philadelphia to continue rehabilitation, but there are still no expectations from the team as to when he will return to a practice or game setting, PhillyVoice has learned. ESPN's Adrian Wojnarowski was the first to report on Fultz's continued rehabilitation, as he revealed in a series of tweets on Tuesday that Fultz would work on his physical therapy in Philadelphia, having spent most of the last month and a half in Los Angeles. Speaking with team sources on Saturday afternoon, PhillyVoice has learned that beyond Fultz's return to the lineup, the Sixers remain uncertain of when they can expect Fultz to return even to a team practice setting. 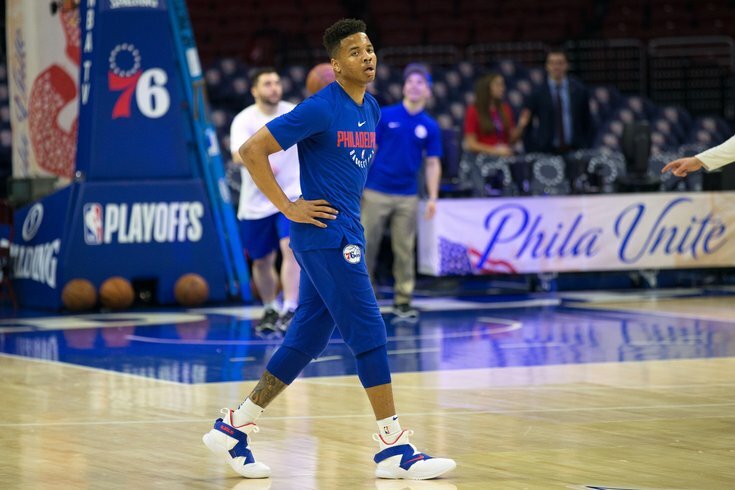 From their purview, Fultz's return to the Philadelphia area is strictly to continue his physical therapy, with the subsequent steps in his return to play yet to be determined. While Fultz's return to the franchise will be welcomed as a positive sign by many, the uncertainty regarding his status speaks to the unorthodox nature of this situation. The Sixers, other than having a team representative monitoring his progress on the West Coast, have been operating at the discretion of Fultz and his agent, Raymond Brothers. To that end, the Sixers remain uncertain of what this means for Fultz's presence around the team even in the immediate term. Late next week, the Sixers will depart for a trip out west, beginning with a game against the Denver Nuggets on Saturday, January 26. At this time, team officials would not commit to Fultz traveling with the team in any capacity, even in street clothes, claiming it's, "too early to tell." And so with Fultz returning back to Philly for the time being, everything remains up in the air and largely at the discretion of Fultz's camp. Sixers representatives insisted the team continues to hope he'll return to play this season, but noted that with their inability to commit to a timeframe for a return to practice yet, it would be inappropriate to make any assurances about a return to the lineup. Since news dropped immediately following Brett Brown's pregame availability for Saturday's game against Oklahoma City, we we were not able to talk to a member of the organization on the record until after their 117-115 loss to the Thunder. Brown's instant reaction, after discussing the team's hard-fought loss, was to focus on the joy of having him back in the fold. "First, it's great to see him. It seems like he's been away a long time. There's been a lot of water that's gone under the bridge since he has passed, with games, I don't even know the quantity of games and you all would know better than I would," Brown told reporters. "That's the first thing, it's good to have him back." But just as representatives for the team had hours earlier, Brown offered no concrete timeline or expectation for Fultz, who has been out of sight and out of mind for the better part of two months. Before he would discuss any sort of timetable for Fultz, Brown said the team will need to determine his conditioning level. "Secondly, to try to assess what kind of shape is he in, where is he at basketball-wise? He's been doing a lot of physical therapy and that type of thing, but as far as like, endurance and cardio and basketball shape, I don't know," said Brown. "And I think that once we can assess that judgment to try to get him back on track, [he] can come on an NBA court and play again. But I don't know how far away that is, I think that is the next step physically, to assess where is he at conditioning-wise, and some level of NBA rhythm." Translation: at this point, your guess is almost as good as Brown's. So in many respects, not much has changed in Philadelphia.